Rothman becomes BWT Champion after a victory at the Billabong Pico Alto and a runner-up finish at the Punta Galea Challenge. SNN Update. LOS ANGELES, CA/USA (Saturday, February 28, 2015) – The conclusion of the 2014/2015 World Surf League (WSL) Big Wave Tour (BWT) today sees Makuakai Rothman (HAW) become BWT Champion. The Hawaiian previously spent several years battling on the WSL Qualifying Series before being offered a wildcard to compete in the BWT this season. Rothman surpassed all expectations, finishing his first Big Wave season with 20,833 points on the rankings, almost 7,000 points ahead of this year’s runner up Gabriel Villaran (PER). 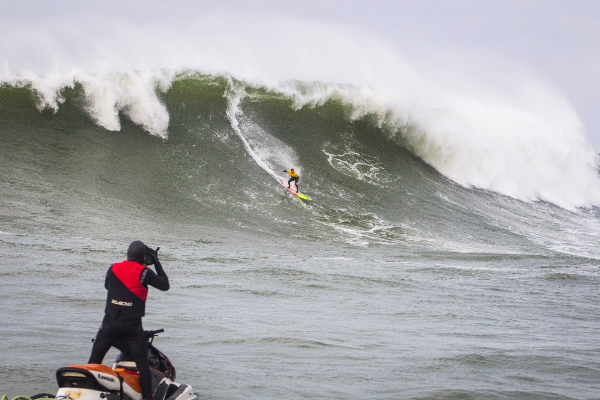 “I feel amazing to be the WSL Big Wave Champion, it’s a dream come true,” said Rothman. “I wasn’t invited to all events and here I am, the world champion this year as a wildcard”. 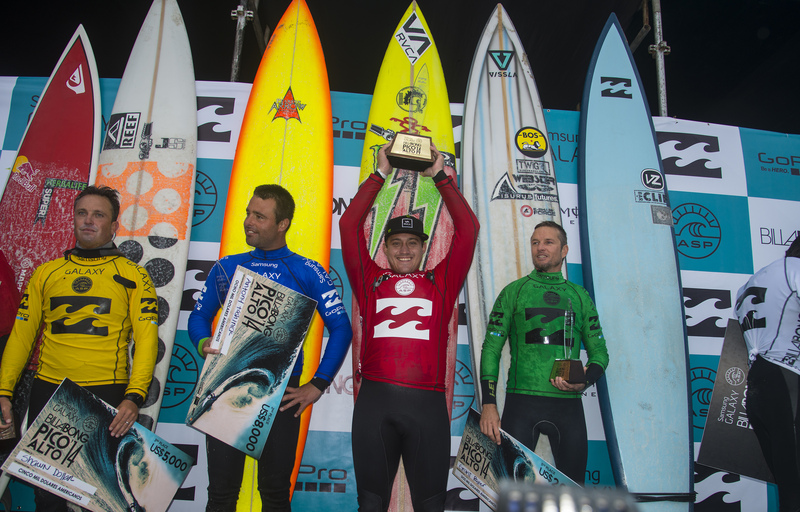 Rothman commenced his title campaign by claiming his first BWT victory at the opening event of the 2014/2015 season, the Billabong Pico Alto event in Peru on Thursday, July 3, 2014. The newcomer battled 40-foot seas and a field of the world’s best watermen, showcasing commitment, strength and confidence to take the win and announce himself as a major threat on the BWT. Rothman, who became a new father just three days before the event, left straight from the hospital to hop on a plane and travel to Peru – a risk that would pay off in a career-changing win for the new family man as well as an ignited fervor in challenging for the big wave crown. Rothman celebrates his win at the Billabong Pico Alto. Rothman solidified his place atop the rankings with a runner-up finish at the second and final BWT event of the season, the Punta Galea Challenge in the Basque Country. On Thursday, December 11, 2014, Rothman fought through to the Final where he battled eventual winner Nic Lamb (USA). The pair traded nine-point rides before Lamb took the win with a Perfect 10 and the Hawaiian came in second place. The result was enough for Rothman to secure his maiden title and he becomes the second Big Wave Champion from Hawaii , after Jamie Sterling, since the tour was founded in 2009. The 2014/2015 BWT season was divided into Southern Hemisphere and Northern Hemisphere components, each hosting three possible events. The Southern Hemisphere season ran from April 15 to August 31, 2014 with event options in Chile, Peru and South Africa. 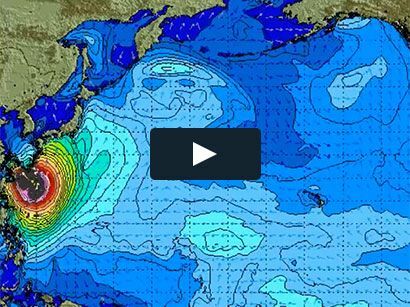 The Northern Hemisphere window ran from October 15, 2014 to February 28, 2015, with possible events in Hawaii, Mexico and the Basque Country. 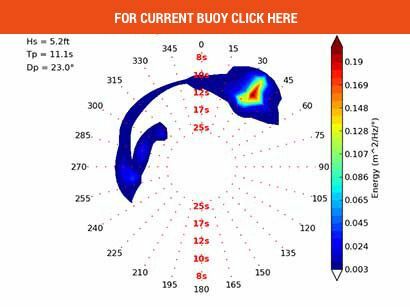 A team of experts track swell systems all over the world waiting for those that will produce waves in the 30-foot-and-larger range for one of the six world-class big wave venues. Rothman will officially receive the 2014/2015 BWT title at the WSL Big Wave Awards in May 2015. The World Surf League (WSL) organizes the annual tour of professional surf competitions and broadcasts each event live at WorldSurfLeague.com where you can experience the athleticism, drama and adventure of competitive surfing — anywhere and anytime it’s on. The WSL sanctions and operates the following tours: the Junior Tour, Longboard Tour, the Qualifying Series (QS), the Big Wave Tour and the crown jewel of the sport, the WSL Championship Tour (CT) which determines the sport’s undisputed world champions. The organization is headquartered in Santa Monica, California with Commercial Offices in New York. The offices are supported by regional centers in Africa, Asia, Australasia, Europe, Hawaii, North America and South America.